Clean, had a safe, shower was good. Would stay in these apartments again. If you’re looking for a beachside location in the area of Benidorm, then look no further other than Paraiso 10 Apartments. It is only 10-minute away from the beach and offers various facilities for your comfort and relaxation. 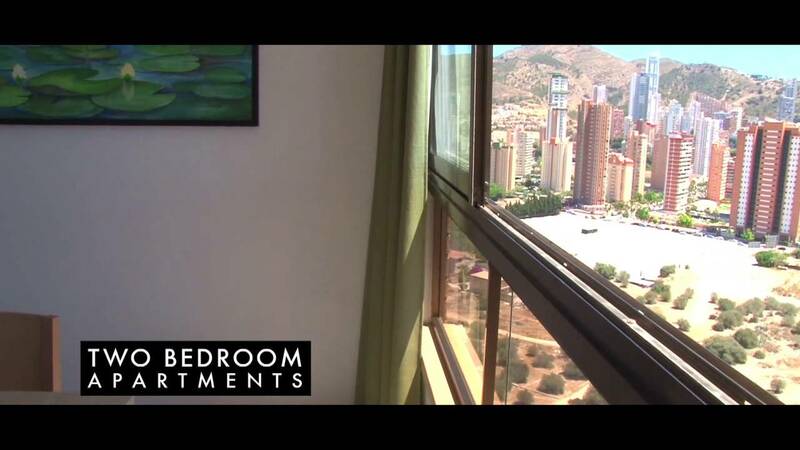 Treat yourself to a home from home experience and enjoy your stay in a 3-star property like Paraiso 10 Apartments in Benidorm. The hotel has a large swimming pool for adults to enjoy a splash in the water and a separate kid’s pool for little ones. Sun beds are available on rent during the summer season only. The hotel is also known for providing 24-hour reception service with multilingual staff to let you know everything you’d need to know when you’re on a low-cost holiday to Benidorm. Other facilities include free Wi-Fi, luggage storage, car parking, laundry service, dry cleaning service, tour desk and ticket service. A safety deposit box is provided at an additional charge, whereas a tennis court is there for recreation and leisure activities. For a great dining experience, guests can stop at the Paradise Corner bar where you can choose from a large selection of drinks and enjoy both national and international brands. The Paraiso 10 Apartments offer an accommodation of total 156 apartments spread over 26 floors. All rooms are spacious, comfortable and beautifully decorated with modern furnishing. They comprises of 1-bedroom apartments and 2-bedroom apartments. One-bedroom apartments come with 2 single beds and are perfect for 2-4 guests, whereas two-bedroom apartments can accommodation up to 5-6 people. Some rooms are equipped with a balcony and most of them come with an array of amenities like a telephone, TV with satellite programming, sofa bed, dining area, air-conditioning, private bathroom with bathtub and shower and a modern kitchen with toaster, kettle, cookware, dishware and other utensils. Hair dryer and iron is also provided at an additional charge and baby cots are offered to the subject of availability. Deposit: Please be aware that Paraiso 10 will charge you a €50.00 per person (cash) deposit on check-in to cover any damage to property. This will be refunded to you after check-out, and following inspection. Mobility scooters are not allowed in apartments due to lack of space in the reception area. The hotel will not accept booking of less than 6 nights. Good location pool was decent you have to clean room yourself but we would prefer this. Lots of room room in apartment and very quiet at night. Just returned from long weekend Perfect location 5 mins walk to square Staff very friendly and helpful Food served in bar couldn't be faulted Shall be returning in the near future! A little out. Staff were friendly. No poolside catering or bar. Had to go to local shop for refreshments. They don't cater for evening meals and bar closes early. After going through a car park to the pool. It was worth it. Pool was lovely. Apartments were clean. Separate kitchen, lounge and bedroom. Bathroom was a decent size and always had hot water. Wifi system 20 euro for the week but only one gadget could be used at a time. Aircon 5euro a day, but didn't need it as with the vents in the apartment and patio doors in lounge and bedroom there was a good breeze. Having a decent television and the pool was great, you have to pay for sun beds.